Whether you're an MD, PA, RN, EMT, or Paramedic- this course is valuable to help take your practice out of the clinic and into the backcountry. 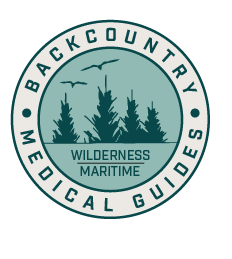 With 20.5 hours of Category 1 CME attached to the curriculum, you not only certify in wilderness medicine, but have a jump towards Re-certifying in your respective practice. Level 3 includes both Wilderness First Responder (WFR) and Continuing Medical Education (CME). Customize the course or choose from our offerings. Optional Itineraries: WFR- Caribbean aboard the catamarans, CME sailing the San Juan’s, coastal cruising Monterey Bay, or drum up a custom adventure. Minimum group size of 4. The 2-Day, (18 hour) Wilderness First Aid (WFA) course is for outdoor enthusiasts and professionals ages 14+. We crafted the curriculum to be active and practical – participants will learn fundamental wilderness medicine and prevention, while developing important judgment skills for outdoor emergencies. This 9 day, (80 hour) Wilderness First Responder (WFR) program is often considered the standard for expedition leaders, guides, outdoor professionals, and backcountry enthusiasts. This is definitely not your average campus WFR course. This backcountry series covers all the WFA curriculum, but emphasizes on situations particular to mountain biking emergencies. This class is active and practical - participants will learn fundamental wilderness medicine and prevention, while developing important judgment skills for outdoor emergencies.